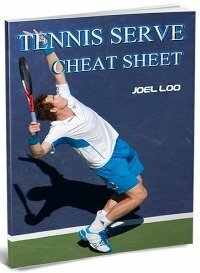 What qualities should you look for in a tennis coach if you are a beginner wanting to pick up tennis or if you are a budding tennis player and want to be taken to the top? Well, that is a question a lot of people ask themselves at some point or another. It is no secret that behind every great tennis player is a great tennis instructor! This means that the success of all tennis players lies in part on how they go about choosing their respective coaches. The important thing to remember is not to rush the selection of such a coach, as it is really one of the more important aspects to developing into a good tennis player. 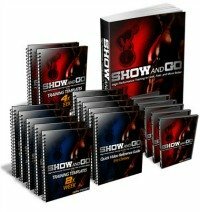 The following will discuss just some of the qualities that you can find in a good coach. As with everything in life, passion is what enables and empowers human beings to become great at whatever it is that they do in life. Passion is the vital ingredient that makes the difference between quitting and persevering until you attain the results you want, even if the sacrifice to get to said results is very high. So, too, in a tennis coach, passion makes the difference between a coach who really has your interests at heart and is looking out for you and a coach who could not care less about your progress, so long as he or she gets paid. There are some important questions that you should ask yourself about any potential tennis instructor that you are evaluating. These will aid you in selecting a coach who has a great deal of passion versus one who just could not care less! Does the coach get a sense of enjoyment from helping you train and practice? Does your coach have an undying thirst in continually learning more about the game of tennis? Does the coach display authentic care with respect to how you do in your tournaments or your matches? As with any profession, certifications and qualifications are quite important when you are considering the qualities of a tennis mentor. In the U.S., both the USPTR and the USPTA provide tennis instructor certifications. With regard to the USPTA certification, a coach will have to take and pass it over a span of two days; it includes both a test that is written and a demonstration the coach will have to pass on the very tennis court itself. In Singapore, the country I am staying at, to get the National Coaching Accreditation Programme (NCAP) certification for tennis, the coach needs to go through 1 month of intensive course and at the end of the course; there are two practical tests and one written test. The two practical tests consist of private coaching and group coaching while the written test is on rules of the game. While passion is required, there is no substitute for cold, hard knowledge and skill. Again, as with certifications and qualifications, there is no substitute for raw ability and skill. The playing level of the coach indicates how competent he is and how deep his grasp of the game of tennis really is. This is definitely something you want to inspect in a prospective coach; just observe the coach on the tennis court as he plays. A note of caution, though: Just because a coach might be good at hitting a ball on the court does not always mean that he will be adept at teaching players how to be good at that activity, too! This is something that should always be in the back of your mind when evaluating tennis coaches. So, to summarize, a good tennis coach has to have passion, legitimate certifications and qualifications and then, finally, actual playing skill. Finding these three qualities in a prospective coach can be a very good sign, as it will increase the probability of locating a tennis coach who will be able to successfully teach students. 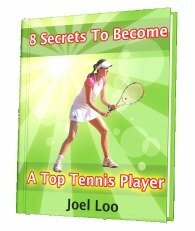 From "The Qualities Of A Good Tennis Coach" To "How To Play Tennis Efficiently And Become A Better Player"